The constant war between the good and the evil never stops! 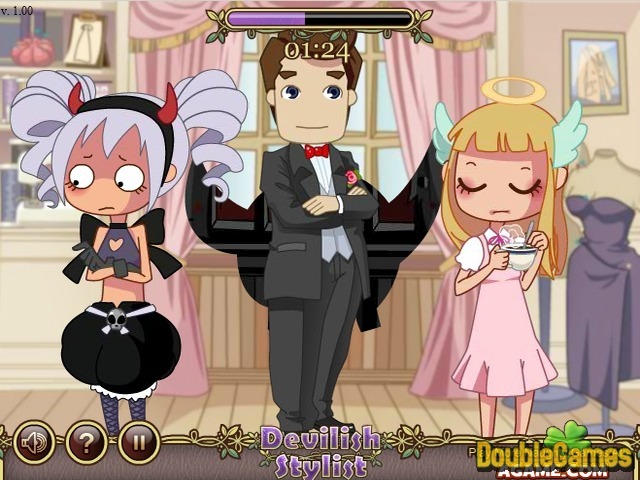 Become for a while damn evil angel in the new free fun online game under the title Devilish Stylist! Go to the salon and do your best to spoil the appearance of the customers of a good angel ! Show your best skills, be attentive and careful, try not to get caught by the salon owner otherwise you will find yourself in the prison. Start playing right now, this really funny game Devilish Stylist is going to make you smile and brighten your mood. 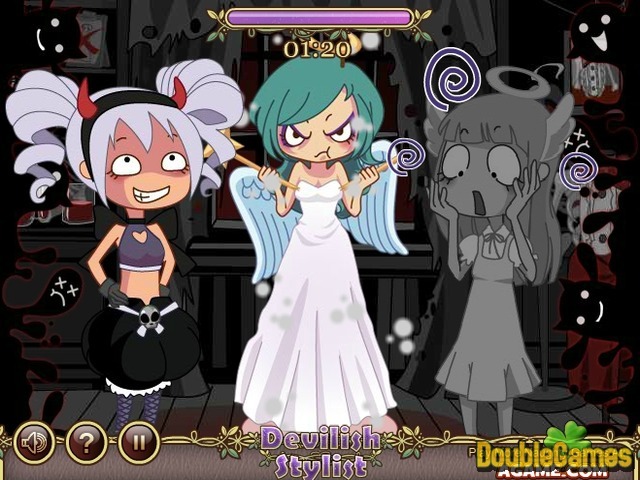 Title - Devilish Stylist Online Game Description - Plunge into Devilish Stylist, a Arcade & Action game created by Agame. Create devilish style and don't get caught by an angel!